I am so impressed with the quality of this rug! The colors are nicely muted and the rug really elevates our space. I originally purchased it for our hallway, but liked it so much that I put it in our kitchen. Highly recommend! It does shed a bit, but that seems to be fading with time. Inspired by the cozy ski lodges of Colorado, the Aspen Collection features fashionable geometric tribal patterned rugs. Using main accent colors of red, blue, and yellow, skilled artisans hand-tuft these wool rugs for exceptional clarity of color and design. 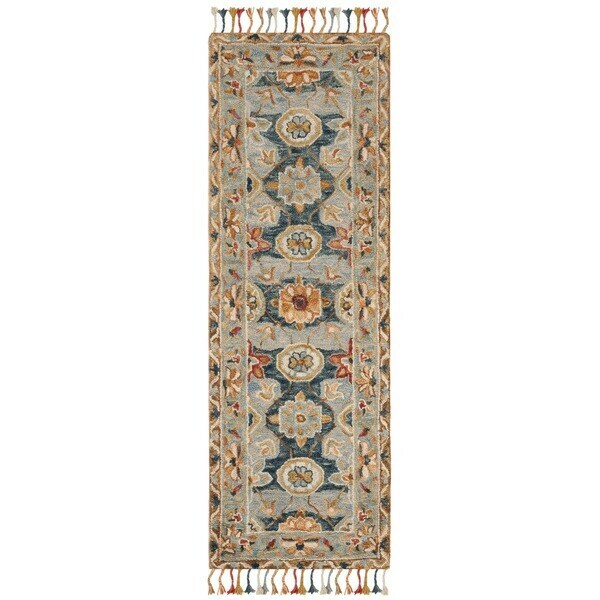 I felt like I was taking a chance by ordering a rug sight unseen, but for the unbeatable price decided to order the runner version of this rug as a "trial run" before ordering the larger size for a guest bedroom. 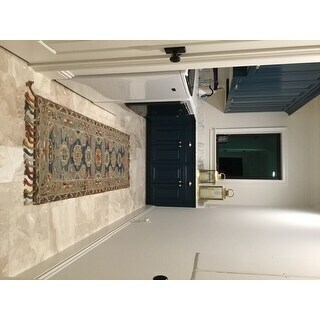 With only 100% wool orientals in the rest of the house, I was not looking for anything synthetic and the hand-knotted nature of this rug is in keeping with the uniqueness of the furnishings in our home. I was pleasantly surprised upon opening that the color scheme was true to that depicted online. 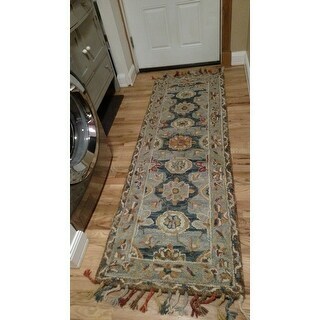 The rug seems tightly woven and well constructed--binding and backing. 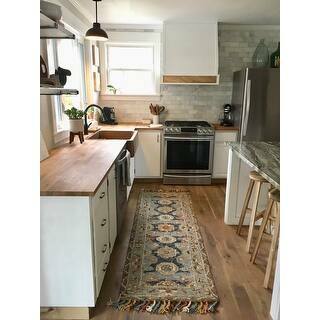 I'm generally wary of rugs that contain a latex backing layer, as it tends to degenerate over time, but if this rug lasts 8-10 years, it will have been easily worth its price for the handsome statement it makes. By that time, I will probably be ready for a new look, anyway! 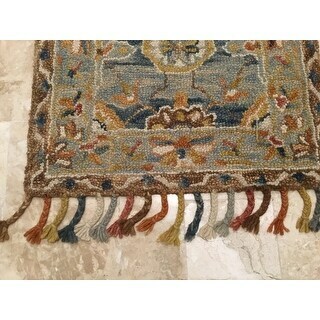 Love this rug...quality and color are superb!! Has a bit of an odor hoping it will air out quickly. Looks great on my hardwood floor. Quick shipping and great price! Very pleased with this rug. I wanted something in the laundry room in front of the machines since I’m standing there so much! It’s thick and dense, quality wool loop construction. I especially like the funky braided fringe. Colors are more muted in real life than here but very beautiful. Very pleased with my purchase. Doesn’t shed much. I HAVE N EVER RECEIVED THIS ITEM!!! I HAVE REPORTED THIS ERROR TO OVERSTOCK AND FEDEX!